Book on the Evaluation of Natural and Artificial Intelligence, Cambridge University Press 2017. Measure for measure column: "Unbridled mental power", Nature Physics, vol. 15, January 2019. Co-organising the Animal-AI Olympics. Participate or get involved! Co-organising the AEGAP Workshop (Architectures and Evaluation for Generality, Autonomy and Progress in AI) at IJCAI 2019. Co-organising the AISafety Workshop at IJCAI 2019. Participated at the HumaInt Winter School at the JRC of the European Commission, with two invited talks: Artificial Intelligence : Present, Future and Beyond and The What and How of AI Evaluation. Paper accepted for the AAAI/ACM Conference on Artificcial Intelligence, Ethics, and Society with Karina Vold: "AI Extenders: The Ethical and Societal Implications of Humans Cognitively Extended by AI", AAAI / ACM Conference on Artificial Intelligence, Ethics and Society, Honolulu, 27-28 January 2019. (Presentation). Paper accepted for the Data Mining and Knowledge Discovery Journal with C. Ferri and P. Flach: Setting Decision Thresholds when Operating Conditions are Uncertain". Co-organised "Generality and Intelligence: from Biology to AI", 5th October, 2018, as part of the MIT-IBM AI Week and the Cambridge^2 initiative, a series of more extensive workshops taking place in Cambridge, UK, and Cambridge, MA, co-organised by the MIT-IBM Watson AI Lab and the Leverhulme Centre for the Future of Intelligence. Paper accepted for the Artificial Intelligence Journal: Item Response Theory in AI: Analysing Machine Learning Classifiers at the Instance Level". Was on sabbatical leave (2017-2018) as visiting fellow at the Leverhulme Centre for the Future of Intelligence. Also visiting fellow at Clare Hall, Cambridge, UK. 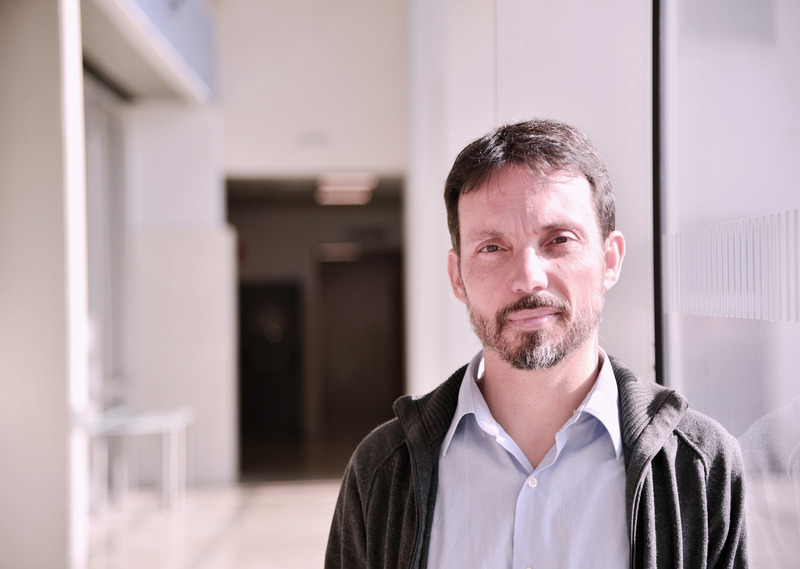 Our project "Paradigms of Artificial General Intelligence and Their Associated Risks", co-led with Seán Ó hÉigeartaigh at CSER, has been selected by the highly competitive Future of Life's AGI safety grants. Paper accepted for IJCAI 2018: "The Facets of Artificial Intelligence". Presentation at Varieties of Minds 2018: Diversity Unites Intelligence: Measuring Generality. Co-organised Architectures and Evaluation for Generality, Autonomy and Progress in AI at IJCAI/ECAI 2018, ICML 2018 and AAMAS 2018 , which took place in Stockholm in July 2018. Received the Prose Award 2018 presented by the Association of American Publishers for my book The Measure of All Minds. Co-organised Kinds of Intelligence: types, tests and meeting the needs of society at NIPS 2017. Featured in Plasencia's Is the Universe a Hologram? Scientists Answer the Most Provocative Questions, MIT Press, 2017. Participated at Philosophy and Theory of AI in Leeds, 2017, as keynote speaker and with two other presentations. AI Magazine paper: A New AI Evaluation Cosmos: Ready to Play the Game?. Surveying Safety-Relevant AI Characteristics, SafeAI2019 AAAI Workshop, Honolulu, 27 January 2019. AI Extenders: The Ethical and Societal Implications of Humans Cognitively Extended by AI, AAAI / ACM Conference on Artificial Intelligence, Ethics and Society, Honolulu, 27-28 January 2019. Artificial Intelligence : Present, Future and Beyond, HUMAINT Winter school on AI and its ethical, social, legal and economic impact, JRC Seville, February 4-8th, 2019. The What and How of AI Evaluation, HUMAINT Winter school on AI and its ethical, social, legal and economic impact, JRC Seville, February 4-8th, 2019. Artificial Intelligence and Data Science : Looking Ahead, Springer Nature Conference on Artificial Intelligence in Biomedicine, Madrid 7th February 2019. Apart from the recent one on the Evaluation of Natural and Artificial Intelligence, I've published several other books on various topics. I usually serve (or have served) on the program committees of conferences such as ICML, IJCAI, NIPS, KDD, AAAI, ECAI, ECML, CogSci and many others. Data Mining, Machine Intelligence and Inductive Programming (DMIP), part of the ELP group. You can see the projects, software and other activities of our group here. If you're a student or an academic and want to collaborate with us or get involved with our group, please feel free to contact us. I currently teach several courses on data science and data mining at the master level. I also had an undergraduate database course for many years. Agreement (cátedra) with BigML on machine learning. Agreement (aula) with Everis on employability in information technology. José Hernández-Orallo is Professor at the Universitat Politecnica de Valencia. He received a B.Sc. and a M.Sc. in Computer Science from UPV, partly completed at the École Nationale Supérieure de l'Électronique et de ses Applications (France), and a Ph.D. in Logic with a doctoral extraordinary prize from the University of Valencia. His academic and research activities have spanned several areas of artificial intelligence, machine learning, data science and information systems. He has published five books and more than a hundred journal articles and conference papers on these topics. His research in the area of machine intelligence evaluation has been covered by several popular outlets, such as The Economist, New Scientist or Nature. His most recent book addresses an integrated view of the evaluation of natural and artificial intelligence (Cambridge University Press, 2017, PROSE Award 2018). New Scientist Sat 10/Sept/2011, pp42-45. The anYnt project had an extraordinary (and sometimes hilarious) media coverage. (Copyleft) José Hernández Orallo, 2018.